Giacomini Group at the Big 5 Show | Giacomini S.p.A.
Giacomini Group will attend the Big 5 Show in Dubai from the 25th to the 29th of November. Giacomini Group will attend the Big 5 Show in Dubai from the 25th to the 29th of November. Our stand location will be at the hall2 booth E59. 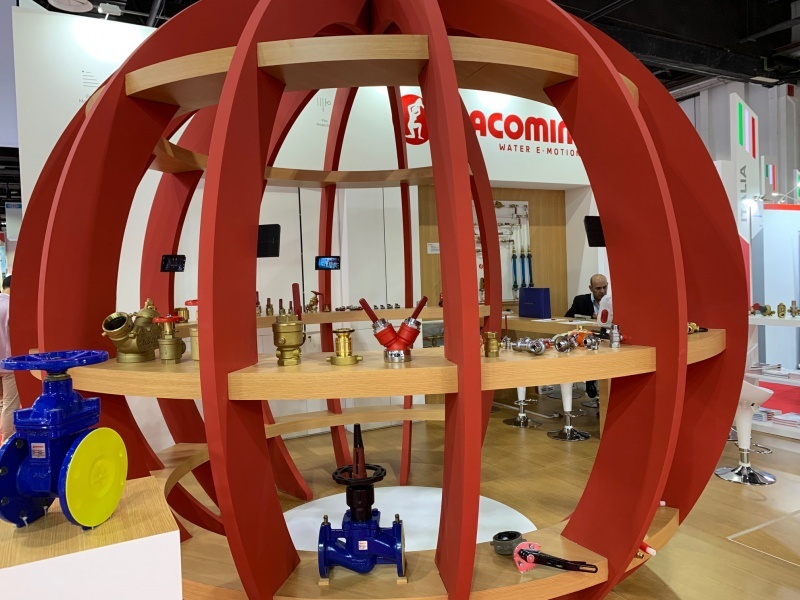 For this 9th partecipation, Giacomini Group will welcome you in its new ball shaped space where new products will be displayed: balancing valves, cast iron valves and fancoil unit kit are only few of these. Giacomini Group has his own branch in Emirates since 2016 and together with his partner Tamtech has already achieved some prestigious projects as Jumeirah estate project or Holiday inn hotel in Marina.